Top marketers like Neil Patel, Rand Fishkin and many more know the power of surveys and exploit it to the fullest on their websites. A good survey form can increase your conversion rates to more than 400%. Yes, they are so effective. In order to create an engaging survey form, you need functional survey software. If you have a WordPress site, then you are in the right place. Because SurveyFunnel is one of the best and modern Survey plugins for WordPress sites in the market. With Survey Funnel - WordPress Survey Plugin capture qualified leads, engage your audience, gain customer insights, and build out your sales funnel. SurveyFunnel makes use of a powerful conditional logic that allows you to base the next question depending upon the user's last response. This is a great way to hook your visitors. Do you realize how this feature gives you absolute control? These surveys conclude with your Call-to-action. So, you're literally hand-holding your visitors to your Call-to-action. This instantly boosts optin rates, site conversions rate and of course the overall site profits. SurveyFunnel helps you gain meaningful insights from your visitors. 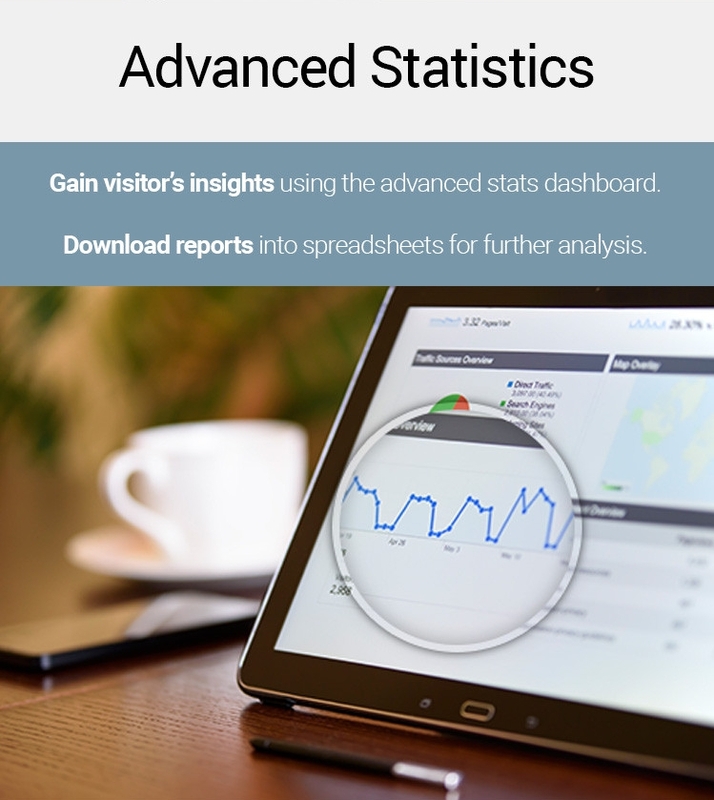 With advanced analysis features, you can learn about how your visitors are responding to your surveys. You can also see the options that are performing well. You can try several options while defining your themes. The live preview option reflects how your survey is looking at the current settings. 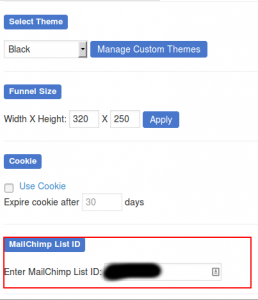 We have now created an addon for MailChimp that provides a super-easy way to integrate all your online forms with the MailChimp email marketing service. You can create targeted survey questions and segment customers according to their responses. If you want to increase you subscriber list, you can have a lead generation form at the end. Or, if you want to redirect them to a sales page or squeeze page, you can do that too with the Best WordPress Survey Plugin. By asking strategic questions, users are engaged and you get high conversion rates. 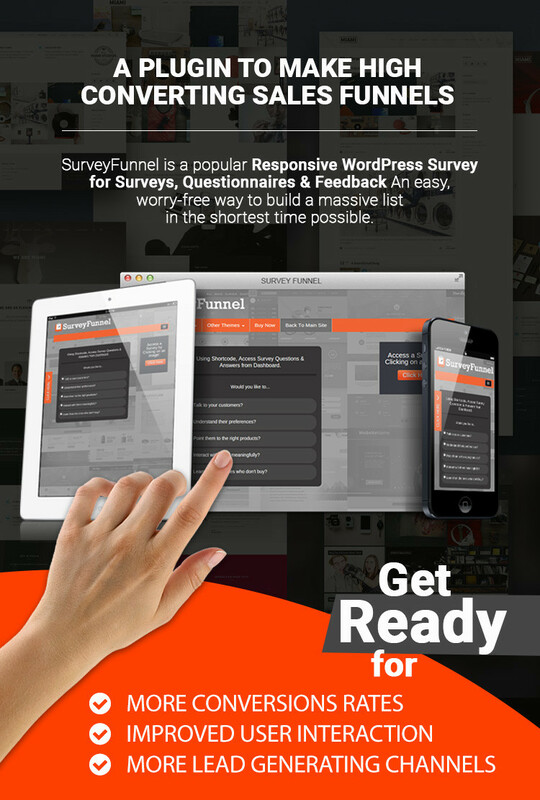 So, SurveyFunnel is a WordPress Survey Plugin as well as a Questionnaire Plugin. Surveys are engaging and entertaining making them the perfect lead magnet for your business. And now, it is even better. With the new design and survey forms, you can now convert even better. You can also set cookies for your surveys so that visitors who have filled up the form won't see it again. SurveyFunnel gathers a lot of information about your visitors. This helps in creating advanced segments that lead to better offers. Surveys created using SurveyFunnel look great across all mobile and tablet devices. SurveyFunnel will enable you to create attention-grabbing slide out surveys and quizzes that can be viewed on any computer, tablet, or mobile device. These surveys or quizzes will catch your users attention, and lead them down a high converting sales funnel. 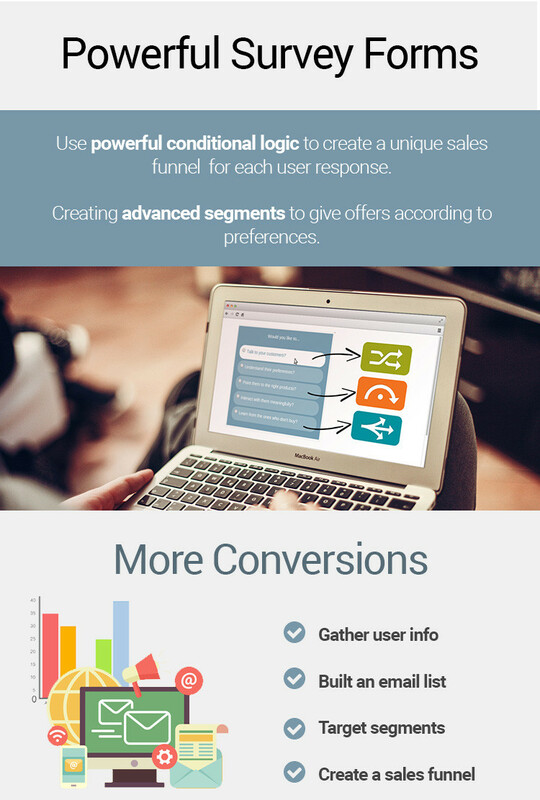 SurveyFunnel comes with a set of predefined themes. But you can create and add your own themes too. You have complete freedom while defining each and every element of your survey. 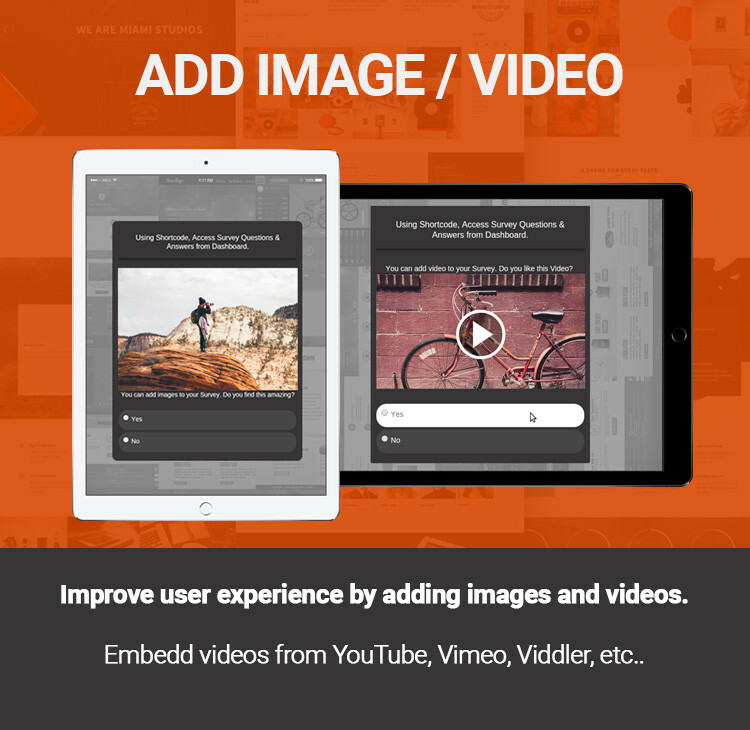 Create your perfectly customized theme within minutes using this plugin's intuitive platform. Once you define a new theme and save it, it shows up along with the plugin's default themes. You have the option to edit it later in case you need to. You may reuse this theme over any of your surveys. SurveyFunnel has multisite support capabilities. You don't need to worry about installing it on every site separately. Supports Email Marketing Softwares like Aweber, GetResponse, Icontact, MailChimp, and many others. Choose to place your surveys & quizzes as a sidebar, or widgets, or use it on a page. Keep track of your surveys & quizzes by exporting the detailed reports of survey results into a spreadsheet(.xls). Every click on a slide-out survey will be recorded as an imprint. Hence, you will now be able to see the number of times users click on your slide-out surveys. Taking Surveys to a Whole New Level with WordPress Survey Plugin. Imagine being able to interact with your site visitors on a level like never before. What Content/Services did they come looking for? What is the kind of Content that they'd like to see?